With fall in full swing, my Instagram feed has been overflowing with families packing up and heading out to their local apple orchards to pick a bushel of apples to take back home and enjoy. Naturally, those same sweet families would post lots of beautiful and scrumptious recipes using those plump and juicy apples over the following days, and it’s been making my taste buds a little bit jealous, not going to lie! I didn’t discover the goodness of apple butter until I was in my early 20’s. I’m a little sad that I spent so many years not knowing how truly tasty it is, but I’ve more than made up for it over the last few years, as making apple butter has become an annual tradition for me! I love to pair apple butter with savory sandwiches. It’s amazing with melted cheese, and a simple apple butter grilled cheese has been my favorite go-to comfort food this past week! To get started making the apple butter, simply wash the apples, peel and remove the cores. 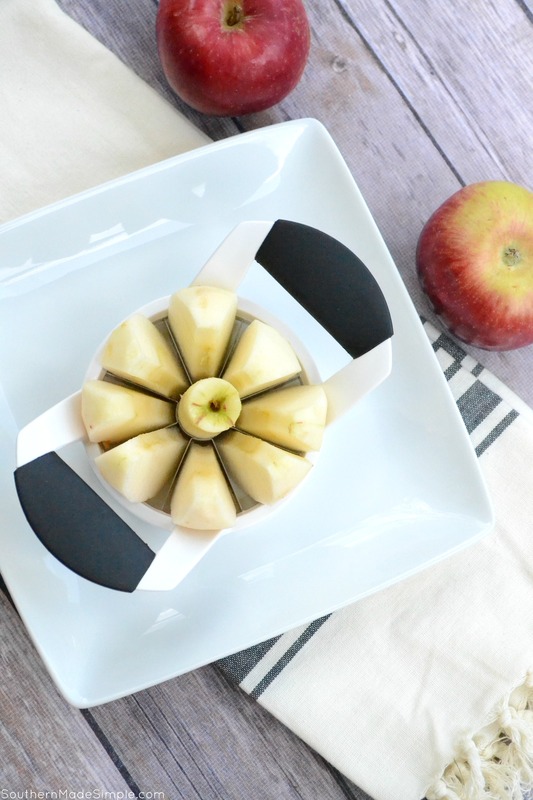 I use this handy dandy apple corer/slicer to get the job done. 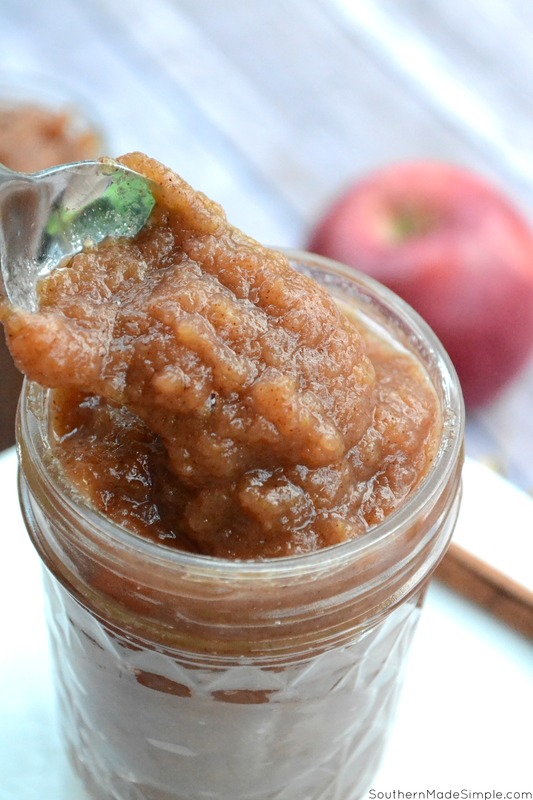 Making apple butter is super easy to do. Here’s a free printable copy of the recipe if you’d like to print it out and give it a try! 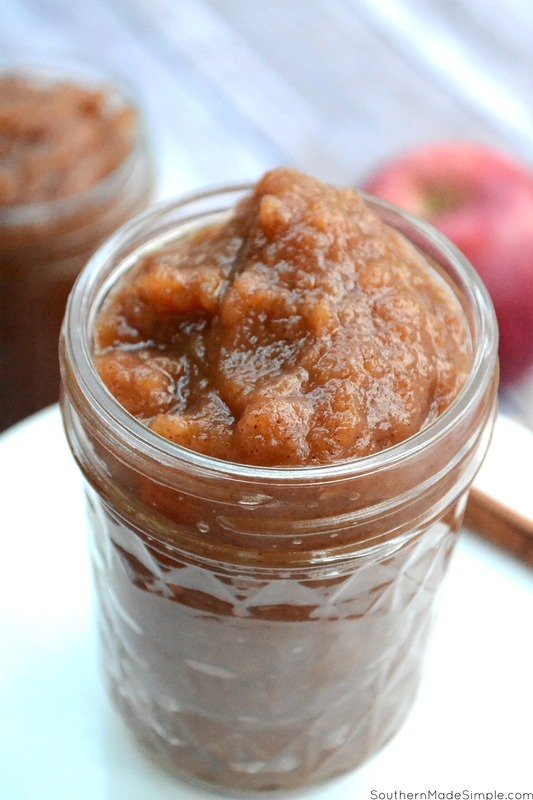 You can also can apple butter and enjoy it all year long. Just ladle hot apple butter into sterilized jars and process in a boiling water bath for 5 minutes! Remove jars from water and allow to sit undisturbed on the counter until all jars seal. Easy peasy! 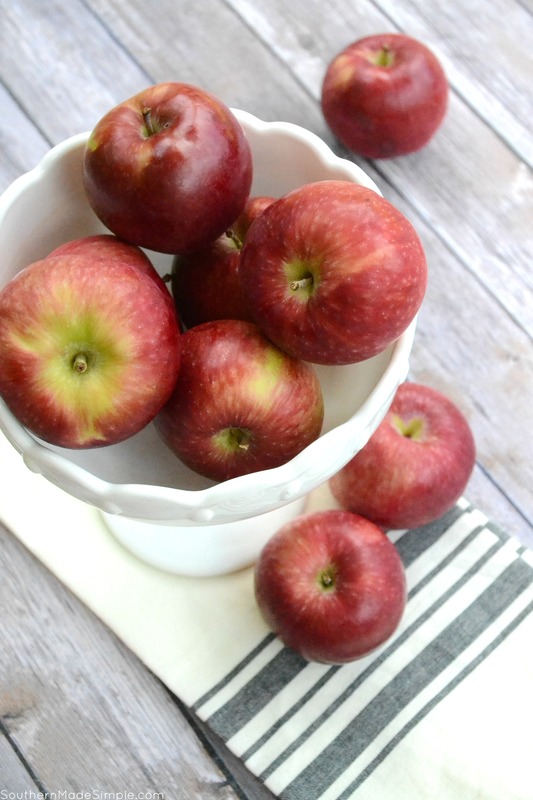 Are you enjoying a bounty of apples this fall season? 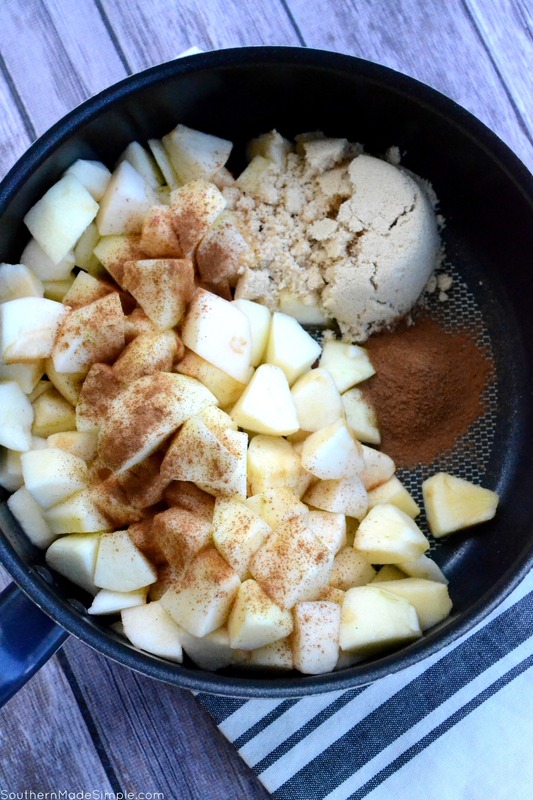 What are some of your favorite recipes to make using apples? If you’re looking for a little apple-inspiration, check out these recipes found right here on Southern Made Simple!